What’s more, a child’s newly erupted permanent teeth are not as resistant to decay as adult teeth are. 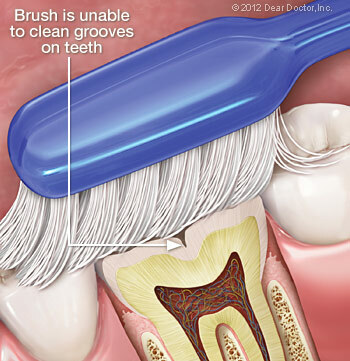 The hard enamel coating that protects the teeth strengthens as it ages. Fluoride, which is found in toothpaste and some drinking water — and in treatments provided by family and pediatric dentists — can strengthen enamel, but, again, it’s hard to get fluoride into those pits and fissures on a regular basis. Fortunately, there is a good solution to this problem: dental sealants. 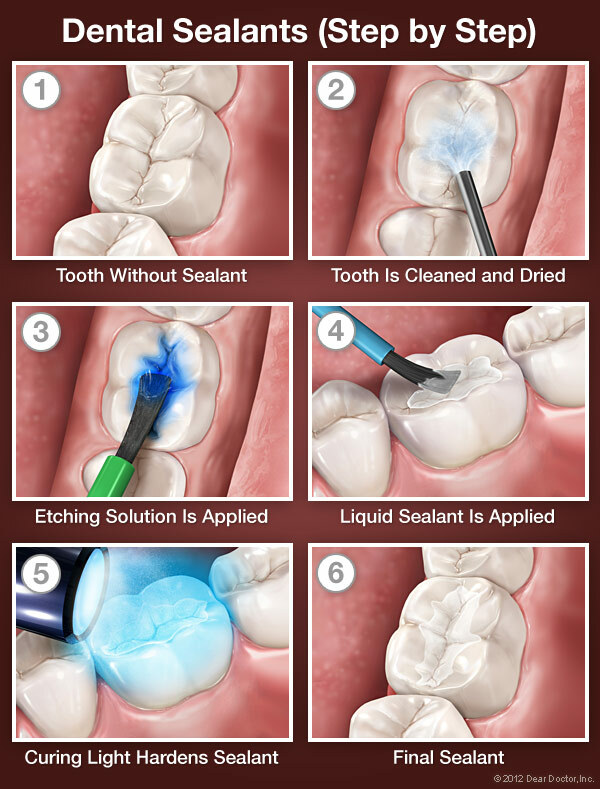 You can think of a sealant as a mini plastic filling, though please reassure your child that it is very different from having a cavity filled. Because tooth enamel does not contain any nerves, placing a sealant is painless and does not routinely require numbing shots. 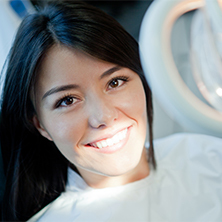 First, the tooth or teeth to be sealed are examined, and if any minimal decay is found, it will be gently removed. The tooth will then be cleaned and dried. A solution that will slightly roughen or “etch” the surface is applied, to make the sealing material adhere better. The tooth is then rinsed and dried again. The sealant is painted on the tooth in liquid form and hardens in about a minute, sometimes with the help of a special curing light. That’s all there is to it! Sealed teeth require the same conscientious dental hygiene as unsealed teeth. Your child should continue to brush and floss his or her teeth daily and have regular professional teeth cleanings. 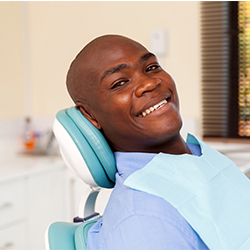 Checking for wear and tear on the sealants is important, though they should last for up to 10 years. 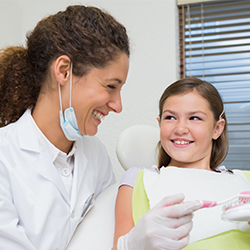 During this time, your child will benefit from a preventive treatment proven to reduce decay by more than 70 percent. 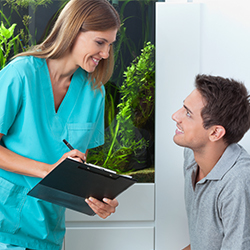 Make your child’s next dental appointment with one of our compassionate family dentists at Merritt Mill Dental Associates here in Salisbury.